� How was your last visit to Colbeh Great Neck? 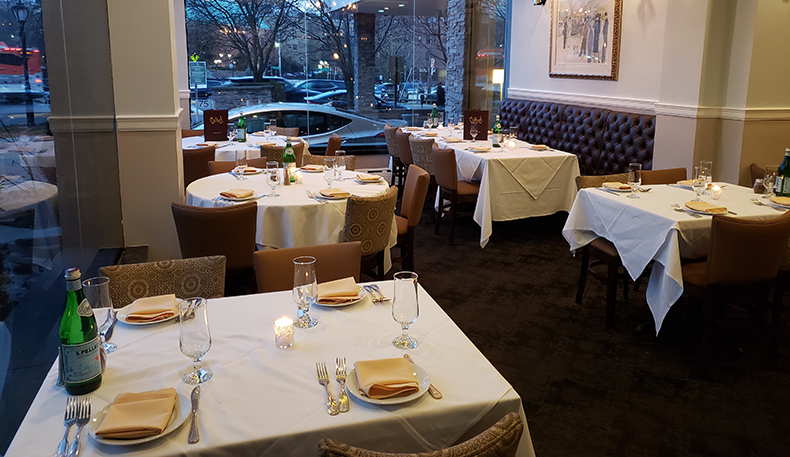 “Authentic, tasty and kosher make a great triple play with this Persian phenomenon where the food is plentiful and the caring staff provides appetizing amenities” are quotes from a Zagat Survey which rated Colbeh with fantastic ratings of “21” in food and “19” in service. Founded in 1983, Pejman Toobian, owner and mastermind of Colbeh, has been able to rapidly turn the restaurant franchise into a renowned hot spot for both locals and tourists alike. When one enters Colbeh, they are immediately whisked away into a Persian journey that starts with the elegant, yet welcome decor. Lively and festive, with Persian music playing in the background, Colbeh adds a touch of class with towering arrangements of fresh cut flowers and tall candles glowing on the tables. Plush burgundy carpeting and subdued lighting complete the scene in their two dining rooms. You will be treated like an old friend by the hospitable staff. A basket of warm pita bread is brought to the table along with a bowl of Mediterranean pickles and olives. All the dishes are made from scratch, with wonderful flavors. Stews, such as Bademjoun, which consists of fried eggplant, tomato, onion and tender cubes of beef have flavors that compliment each other. Traditional Mediterranean desserts, by a Persian bakery, are sweet endings to a splendid meal. Colbeh also has a beautiful catering room down the hall. They offer Mediterranean and Continental cuisine and are the perfect alternative to traditional banquet settings. The restaurant offers exclusive catering in the luxury of your own home, at their restaurants and as a banqueting feast in their newly refurbished ballroom. From intimate dinners to lavish galas, they provide sumptuous Persian cuisine combined with personalized service attending to every detail of your entertaining needs. The food is excellent and the prices are fair. The service is friendly and efficient. I agree but stay away from Colbeh in NYC. The opposite. Sounds like you own the place.